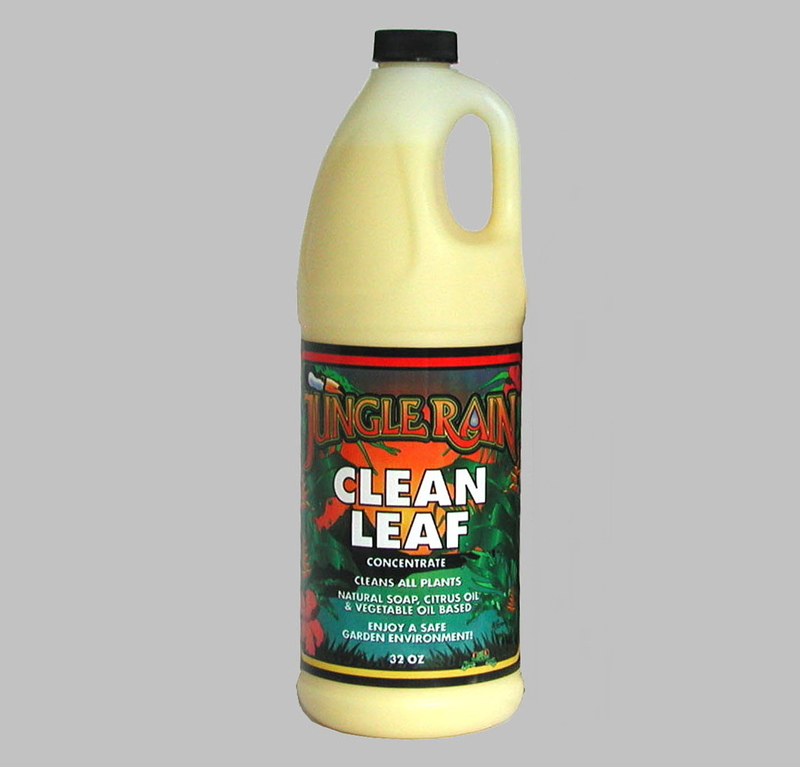 Jungle Rain Clean Leaf, 1 Gal. Conc. 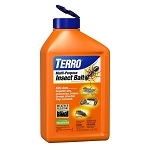 Home > Insect Pest Control > Insect Sprays > Jungle Rain Clean Leaf > Jungle Rain Clean Leaf, 1 Gal. Conc. Natural Organic Soap Based Foilage Cleaner with Pure Citrus Oil Scent. Jungle Rain is a unique blend of pure castile soap, citrus oil and other natural ingredients. Regular use of Jungle Rain insures healthy and, vigorous plants as you wash away dirt, and other residue. Jungle Rain's gentle cleansing process enables more complete photosynthesis and enhanced plant development. Jungle Rain is a natural, biodegradable, non-toxic alternative to synthetic home and garden products which promotes a more active soil micro-life and better water penetration. Vegetables, fruit and citrus can be immediately harvested after spraying Jungle Rain. 1) SHAKE BOTTLE well. Mix 6 tablespoons per gallon of water. Spray both top and underside of leaves to the point of run-off. Fruits and vegetables can be immediately harvested after spraying. Will not harm flowers or new foliage. Pump-tank sprayer works best. 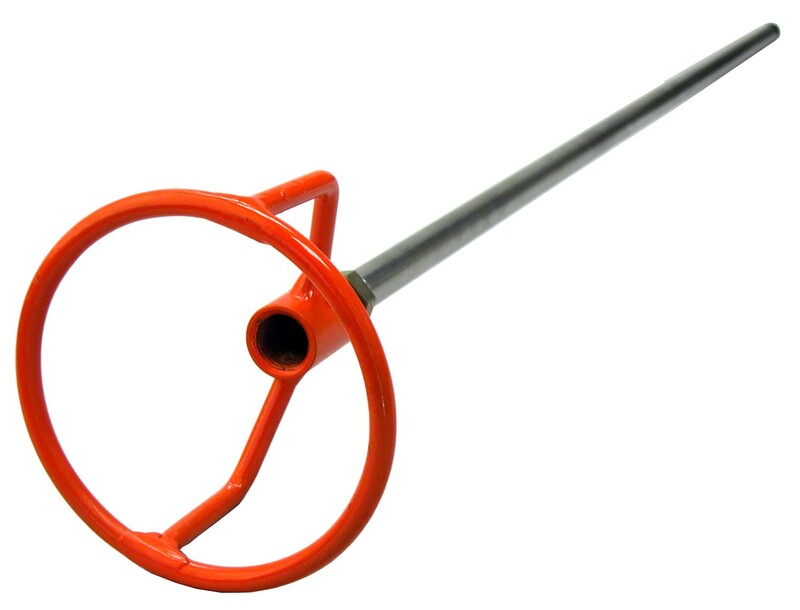 Hose-end sprayer, without deflector, is effective on overhead, hard to reach areas. 2) APPLY as necessary, until problems are under control. Maintenance spray every two weeks. Spray roses every week during the season. Spray leaves, top and underside, with Jungle Rain Clean Leaf. Rinse off with strong water pressure within 2 to 3 minutes. Let plant dry - reapply as directed above. LET PLANT DRY - REAPPLY - LEAVE ON.